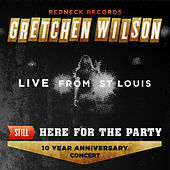 Gretchen Wilson's story is not unlike The Simpsons episode where Homer befriends the aspiring country singer Lurlene Lumpkin. Like Lumpkin, Wilson grew up in a poor, rural part of the country. Born to a 16-year-old mother and to a father who left the home when she was only a toddler, Wilson grew up in Pocahontas, Ill., and moved nomadically from trailer park to trailer park. While only 14 and with just an eighth grade education, she worked as a bartender and a cook in the same tavern as her mom. 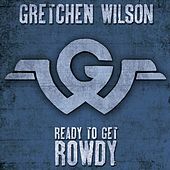 Wilson began her career in her early 20s by singing in bar bands and soon she relocated to Nashville where she joined up with the Muzik Mafia songwriting club. Her debut single, "Redneck Woman," (which she co-wrote with John Rich of Big & Rich and Lonestar) set sales records on the Billboard charts, making her an overnight sensation. She has been credited with saving country music in a time when Nashville is leaning toward the pop production of Faith Hill and Shania Twain -- artists who sound like they're desperately trying to cross over into the Adult Contemporary market. In contrast, Wilson celebrates her redneck roots in her compositions (by name checking Lynyrd Skynyrd and Kid Rock, for example).